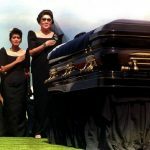 MANILA, Philippines (UPDATED) – The Supreme Court set oral arguments on the petition opposing the burial of the late dictator Ferdinand Marcos on Wednesday, August 24. In an en banc order on Tuesday, August 16, the Supreme Court also directed the respondents in the case – Defense Secretary Delfin Lorenzana and the Armed Forces of the Philippines (AFP), as well as former First Lady Imelda Marcos – to attend a preliminary conference at 2 pm on Monday, August 22. They were also given until Monday to respond to the petition filed by Martial Law victims asking the SC to stop the burial of Marcos at the Libingan next month. Named respondents in the petition were Mrs Marcos, representing the heirs of Marcos; Lorenzana; Rear Admiral Ernesto Enriquez, deputy AFP chief of staff for reservist and retiree affairs; and General Ricardo Visaya, AFP chief of staff. In their petition, Martial Law victims asked the Court to issue a temporary restraining order (TRO) against Marcos’ burial at the Libingan. They argued that it is contrary to the Constitution and violates existing laws. 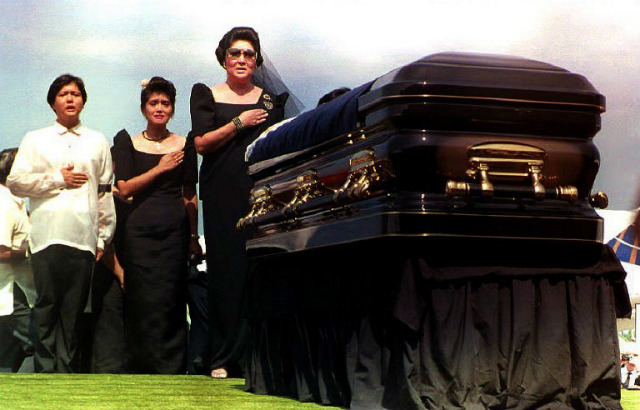 If the planned burial is allowed, the petitioners said, this would likely jeopardize their US$2- billion claim for damages against the Marcoses for their human rights violations. “The said judgment is pending execution and the burial of Marcos in LMB could affect the already difficult search for Marcos hidden wealth and the full execution of the judgment,” said the petitioners led by former Bayan Muna representative Neri Colmenares and Satur Ocampo. They said Lorenzana committed “grave abuse of discretion amounting to lack or excess of jurisdiction” when he ordered Marcos’ burial at the Libingan through a memorandum on August 7, 2016. Visaya later sent the same order to the military. The order, emanating from a verbal directive of President Rodrigo Duterte, is illegal since Marcos does not meet the qualifications of a soldier who ought to be buried there, according to the petitioners. The petitioners also insisted on the validity of the 1993 agreement between then President Fidel Ramos and the Marcos family that the late strongman will be buried in Ilocos Norte, where his remains are.